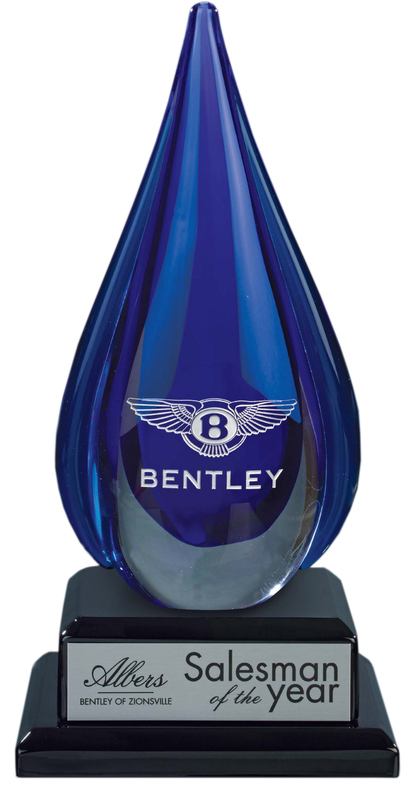 Our crystal blue teardrop is handcrafted and hand etched and colorfilled with your message or logo. Additional set-up fee applies for hand etched crystal. Note: Only one set-up fee per award type, not per piece.